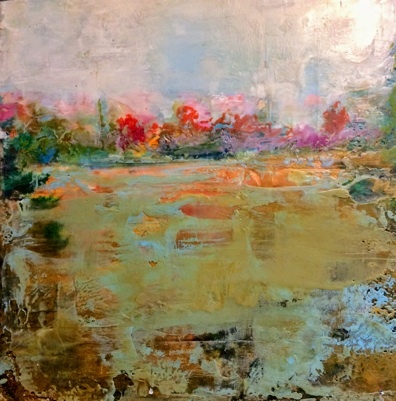 Upcoming encaustic, painting workshops! Toronto (Historic Distillery District) Comprensive*, Two Day Workshops, 2019 April 6/7, 2019 April 20/21, 2019 May 4/5, 2019 Saturday, Sunday 11-4 pm $240* Min 3 persons *(One day option: $130) Comprehensive Weekday Workshop Thursday or Friday 10-4pm $150 Open Studio* 12pm-5pm Saturday, Sunday min 3 hours, $20 per hour. (weekday and evenings available as well) *(open to people who have previously taken my Two Day Encaustic Workshop) NEW Escape and Create Workshops Kawartha Lakes, Peterborough, Lakefield Buckhorn, Bobcaygeon For more info please contact me: annshier@gmail.com *Comprehensive workshops will cover encaustic techniques such as glazing, sculpting, painting, photo encaustic, photo transfers, collage, stenciling, stamping. Learn to mix your own medium and paint pallet. All electrical equipment and wax are provided. NO previous painting experience necessary. Learn more: History of Encaustic To register and for more information please contact: Ann @ annshier@gmail.com or call 647-286-0030. See you soon! min 3 hours, $20 per hour. *Comprehensive workshops will cover encaustic techniques such as glazing, sculpting, painting, photo encaustic, photo transfers, collage, stenciling, stamping. Learn to mix your own medium and paint pallet. All electrical equipment and wax are provided. NO previous painting experience necessary.